a) Prince Muhammad Wahid ud-din. a) Prince Faruk 'Imad ud-din. b. at Cairo, 190x. (Egypt). b) Prince Muhammad 'Imad ud-din. b. at Cairo, 190x. (Egypt). a) Princess Umm ul-Kulsum. (Egypt). 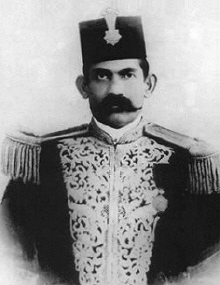 a) Prince Ahmad 'Imad ud-din. (Malé). 1) Princess Aisha Gomafulu (d/o Aa Goduvaru Dori Goma). m. Henveyruge Muhammad 'Abdu'l-Samad Didi, son of Hassan Hakura'a Manikufa'anu [Henveyruge Don Hassan Didi], by his third wife, Ekgamuge Don Didi, daughter of Al-Amir Hassan Fa'amuladeri Kilegefa'anu [Malinge Hassan Didi]. She had issue, two sons and one daughter - see above. a) Princess Fatima Tuttu Goma [Fatima Ibrahim Didi]. b. at Malé, 1918, educ. privately. Senator 1952-1954, Speaker of the Senate, and Minister. She was offered the throne in 1953 but withdrew her candidature when opposed by the clerics headed by 'Abdu'llah Jalal ud-din. m. H.E. Ahmad Zaki (b. at Malé, 16th April 1931; d. at London, 15th November 1996), Wireless Telegraph Officer 1953-1956, Plenipotentiary Representative in Ceylon 1956-1959, Dep Minister for Public Endowments, Food & Trade 1959-1960, Speaker 1960-1968 & 1990-1993, Minister for Food & Trade 1960-1968, and External Affairs 1968-1975, Prime Minister 1972-1975, Premanent Representative at the UN 1979-1983 & 1993-1996, Ambassador to the EU 1983, Attorneygen 1983-1990, and High Cmsnr at the Court of St James's 1996. She d. at Indira Gandhi Memorial Hospital, Malé, 5th February 2006, having had issue, two sons. 1) Prince al-Hassan 'Izz ud-din Henveyru Ganduvaru Manippulu. b. at Malé, 1902 (s/o Sitti Didi), educ. Royal Coll., Colombo. Appointed as Heir Apparent by his father, 8th February 1931 (not recognised by the nobles or the British authorities due to his unacceptable moral conduct). Deported to the southern Atoll together with his father, 2nd October 1934. m. Athirige Amina Didi, elder daughter of Al-Amir Ahmad Kuda Dorimena Kilegefa'anu [Athirige Ahmad Didi], by his wife, Roanuge Aisha Didi. He d. at Fua Mulaku (bur. there), having had issue a natural son by the daughter of a nobleman (born before 1930). 1) Princess Titti Gomafalu (d/o Medu Ganduvaru Dori Goma). m. as his first wife, Kaka'age Husain Hilmy Didi, sometime Plenipotentiary Representative in Ceylon, eldest son of Kaka'age Ismail Dorimena Manikufa'anu, by his wife, Serikkal Don Manika, daughter of Thudathifa'anuge Landran Awgoathi Muhammad Bodu Thakurufa'anu, of Minicoy. She had issue, a son - see above. 2) Princess Medu Gomafalu (d/o Medu Ganduvaru Dori Goma). 3) Princess Tuttu Gomafalu (d/o Medu Ganduvaru Dori Goma). 1) Prince 'Abdu'llah Nur ud-din Manippulu. He d.s.p. 2) Prince 'Ali Nur ud-din Manippulu (s/o Fatima). He d.s.p. 3) Prince Muhammad Nur ud-din Manippulu, H.H. Prince Muhammad Nur ud-din, Head of the Royal House of the Maldives (s/o Tuttu Didi) - see below. i) Aminath Khanum. 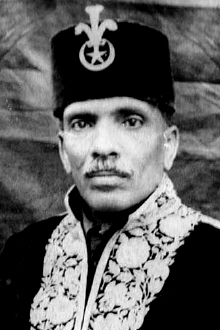 m. 'Abdu'l-Hamid, fourth son of Prince Manduge Muhammad 'Abdu'l-Wahhab Manippulu, by his wife, Fatima Sitti, daughter of Bodufenvalhuge Sayyid Husain Afifi ud-din al-Husaini Ba-Alawi, sometime Chief Justice - see above. 2) Princess Shamima (d/o Fatima). m. and had issue, a daughter. 3) Princess Anisa (d/o Tuttu Didi). m. three times and had issue, eight children. 4) Princess Zarina. b. at the Eterekoilu, Malé, 26th July 1943 (d/o Khadija). 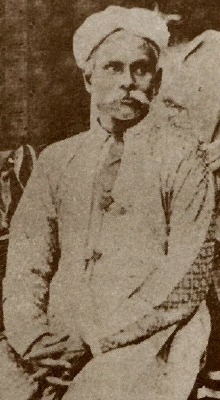 m. Kakage 'Ali Didi, son of Kakage Husain Didi, by his wife, Kakage Aisha Didi, daughter of Kakage Ismail Didi. She had issue, two daughters - see above. 1) H.M. Jala'ala ul-Malik Muhammad Farid Didi I, King of the Maldive Islands (s/o Princess Veyoge Don Goma) - see below. 2) Prince Hassan Farid Didi. b. 19... (s/o Don Goma), educ. Royal Coll., Colombo, Ceylon. Treasurer and Minister of Finance 1932-1933, Minister for Home Affairs 1934-1939, Minister of State 1939-1942, Plenipotentiary Representative in Ceylon 1942-1944. m. Princess Manduge Ruqiya Tuttu Don Goma (b. at Malé, 1915; d.s.p. at Vaidheriyaage, Malé, 11th March 2008), youngest daughter of Prince Manduge Tuttu Manippulu Ahmad, sometime Regent. He was lost at sea, presumed drowned, while travelling from Addu Atoll in the South to Colombo in a British warship during World War II- sunk by a Japanese submarine, 27th March 1944. 1) A still-born s/o Fatima, 1932. 2) A s/o Fatima, whi d. aged six days. 3) Nabil Muhammad Ismail Didi (s/o Faiza). Author of "Memories of a Son". 1) Nabila Amina Didi (d/o Fatima). Private Sec to the Prime Minister until 1967. m. Mahir. 2) Nabila Jamila Didi (d/o Faiza). 1953 - 1954 H.E. 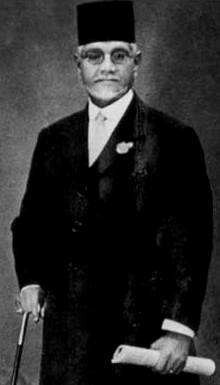 Velanage Ibrahim Muhammad Didi. Acting Head of State (Wali ul-Amr=Governor in Command) from 2nd September 1953 until the restoration of the sultanate on 7th March 1954. 1901, as Muhammad Farid Didi, elder son of H.H. al-Muntakhab al-Arash ud-Daula al-Mahaldiviya Amir Amin 'Abdu'l-Majid Didi, by his wife, Princess Veyoge Don Goma, daughter of H.H. Sultan Ibrahim Nur ud-din II Iskandar Sri Kula Sundara Svasti Sri Mata Maha Sri Bari Kusa Furadana Sri Kula Sada Ira Siaka Sastara Auda Kirti Kathiri Buwana Maha Radun ibni al-Marhum Sultan Muhammad 'Imad ud-din Iskandar, Sultan of the Maldives, educ. Royal Coll., Colombo. Cdr of the Military Forces 1928-1932, Prime Minister and Chief Treasurer 1932-1933, Speaker of the Majlis 1933-1942. Chosen as Sultan designate by an overwhelming majority of the national Assembly when they decided to end the republic and restore the sultanate, 22nd January 1954. 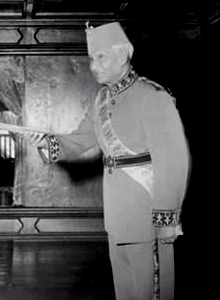 Formally proclaimed as Sultan 6th March 1954 and invested with the Sword of State at Malé, 7th March 1954. Assumed the title of Jalal ul-Malik Muhammad Farid al-Awwal Kathiri Maha Radun, i.e. His Majesty King Muhammad Farid the First, when the British Protectorate ended and the Maldive Islands achieved full independence, 26th July 1965. Following a public referendum held on 1st April 1968 the Sultanate was abolished and the Maldives were declared a Republic on 11th November 1968. m. (first) Burunige Ranfulu. m. (second) Medusidige Sitti (d.s.p. before 1968). m. (third) 196x (div.) Mugurige Waheeda. He d.s.p. at Malé, May 1969. 1) Prince Ibrahim Nur ud-din (s/o Tuttu Sitti). 2) Prince Said 'Ali Nur ud-din (s/o Fatima Nasira). 3) Prince Ismail Nur ud-din (s/o Fatima Nasira). 1) Princess Amina [Ms Aminath Panabokke] (d/o Tuttu Sitti). m. 1st September 19xx, Ranjit Panabokke (b. 2nd April 19xx), Presdt. Rotary Club of Colombo North 1996-1997. She has issue, two children. 2) Princess Aisha (d/o Fatimath Nasira). 3) Princess Khadija (d/o Fatimath Nasira). 4) Princess Maryam (d/o Fatimath Nasira).